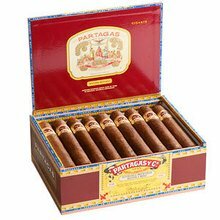 Partagas Spanish Rosado Mitico features a spicy San Augustin Honduran wrapper that imparts notes of cinnamon and burns to a beautiful white ash. Resting underneath, is a Connecticut broadleaf binder and aged fillers from the Dominican Republic, Mexico, and Honduras. 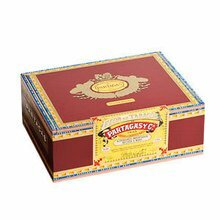 This sweet, earthy, and nutty offering from the General Cigar Company is available in limited quantities, and sold in boxes of 25. Don’t wait, order yours today, before they are all gone. A spicy cigar with some bite. Has a pretty wrapper with oils. Medium bodied with a perfect draw but a bit of an uneven burn. All the categories of this cigar are 5 star and better. Not a bad stick. One of the better partagas cigars i've tried. Worth giving it a shot if you haven't tried one yet. Quality flavor and smoke. Disappointed there is no or little cinnamon flavor. I expected more of that. Overall good cigar. The rosado wrapper adds a great savory pepper kick that is just enough to add complexity to everything but not overpower it. These are well made and full of flavor. Get them from Jr. Win some, buy some? Either way it's great. This is a pretty enjoyable cigar. Flavor was pretty good. It had lots of smoke. I'd smoke it again. Recently won a box during an auction. Always wanted to try the Spanish Rosado and was pleasantly surprised to find these to have a great flavor and draw. Would definitely recommend. 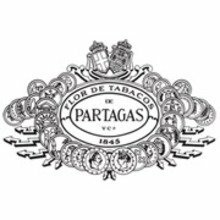 My favorite Partagas. Great smoke. Outstanding flavor with a great draw and overall construction. This is with every cent and your time. One of my favorite cigars. For a while, I couldn't find them anywhere. Glad they are back. Have one of these with a glass of bourbon or dark rum. You won't be disappointed. Purdy gut ceegar! Must say this one was not bad at all. Great flavors and nice burn all the way to the finish. Nubbed ! This is a good cigar for the price. I enjoyed it but not my favorite. Spicy, nutty and sweet medium to full bodied and strength cigar. Has very solid construction, great smokey burn and perfect draw. Even the taste from the draw of an unlit Rosado is yummy. Lit, it's even better. Haven't smoked a Spanish Rosado in many years due to high price and low inventory. Got a great deal on these and just finished my first...great taste, consistency and draw. Smoked it down to the nub!